PRESS RELEASE, 6th March 2019 from Fairness for Farmers in Europe (FFE), an open door federation of farm organisations across GB, the Isle of Man, Ireland north and south. 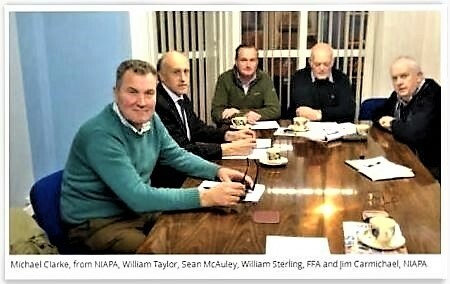 After their recent meeting in England, the following FFE members supported this statement: Family Farmers Association, Farmers For Action, Irish Creamery & Milk Suppliers Association, Irish Cattle & Sheep Farmers Association, Manx NFU, National Beef Association and Northern Ireland Agricultural Producers Association. Pictured (l-r ) at Fairness for Farmers in Europe’s recent meeting at the Marriott Hotel in Gatwick– back row is Andrew Cooper General Secretary Manx NFU, John Enright ICMSA General Secretary, Tim Johnston Manx NFU Vice-President, Sean McAuley NIAPA & FFA and Brian Brumby Manx NFU President. Front row, Eddie Punch General Secretary ICSA, William Taylor FFA NI and FFE co-ordinator and Patrick Kent ICSA President. Fairness for Farmers in Europe have delivered the following press release of their agreed statement on the strong possibility of the UK leaving the EU without a deal to Michael Gove MP, Andrea Leadsom MP, Theresa May PM, Neil Parish MP, Sir Vince Cable MP, Sir Keir Starmer MP and Anna Soubry MP with copies sent to the Irish Government, the Isle of Man Government, the Scottish Government, the Welsh Government, EU Commission President Jean Claude Juncker, Council of Ministers President Donald Tusk and European Parliament President Antonio Tajani. FFE members are copying in their MEPs and politicians where appropriate. Fairness for Farmers in Europe (FFE) on behalf of all the family farmer members they represent across these islands, north, south, east and west, must make clear to the UK Government that it would be reckless in the extreme with the impact horrendous for agriculture and food if the UK were to crash out of the EU with no deal on 29th March. The beef industry, to give one example across these islands is already being devastated due to uncertainty currently with price losses at the farm gate of 10%+, not to mention the add on costs to consumers from the 29th of March. A no deal on 29th March would by way of UK and EU Customs and Excise administration costs, consequential transport waiting times and WTO tariffs where applicable on lamb, milk, milk products, chicken, pork, beef, vegetables, fruit and other at the UK Northern Irish border with the EU / Southern Ireland Border, UK Dover border point with Calais French EU border and all other food importing/exporting points around and in the UK. For the sake of commonsense we ask you to draw back from the brink – ask for more time to achieve a successful outcome if a deal cannot be reached by 29th March. Could British farmers build a vote-bank and influence policy? On another website, we read that in India, farmers only appear on the economic radar screen of the country when elections are around the corner (original source: Ground Reality). Not so in UK. Whereas 43% are employed in Indian agriculture, British farmers and employees registered to vote are only 1% of the country’s population according to the World Bank’s interesting list and so are not regarded as politically significant, despite their vital role. Is building a vote-bank the British farmers’ only chance of a fair deal? A call, not to back a particular party or candidate but a policy such as the one set out by Farmers for Action (NI) and other farm groups (below), which commissioned the drafting of a parliamentary bill on farmgate prices. If successful it would return farmers a minimum of the cost of production plus a margin inflation linked across the staples. The problems being faced by dairy farmers do not stop at the farm gate but threaten the thousands of other business and jobs both locally and nationally. Maintaining viable dairy farms not only protects livelihoods of farming families and others directly involved, it also makes a major contribution to local economies and the future of businesses, jobs, and families in the locality. Locally based businesses circulate profits within the communities they serve. In turn they are reliant on viable, widespread and profitable farm businesses adding immense value to local economies. It is in their interests to see that farmers get a fair price for their produce. “Achieving it means drastic reductions in emissions from now. This is very unlikely to happen. That is no longer because it is technically impossible. It is because it is politically painful. “We are the shapers of the planet now. This ought to transform how we think. Unfortunately, it has not”. Wolf believes that the theoretical and empirical arguments for man-made climate change are overwhelming, supporting this and other points made with graphs in his recent Financial Times article. The rise in average temperatures above the pre-industrial average is already about 1C. That shows how hard it will be to keep the final increase below 1.5C, or even 2C. Under the “nationally determined contributions”, he adds, we are in fact on a track towards warming of 3-4C by 2100.
and other sources of climate change — emissions of methane and nitrous oxide, for example — would also need to fall from 2030. Emissions from industry would need to fall by 75-90 per cent by 2050, relative to 2010. This would need a combination of electrification, hydrogen and product substitution. These options are technically proven, but their deployment on a planetary scale is another matter. Emissions reductions by efficiency improvement will be inadequate. (Ed) One reservation: many will disagree with Wolf’s assertion that generating energy from bio-based feedstocks is necessary and that agriculture will need to shift to production of energy crops on a huge scale. He calls for planning changes in urban infrastructure and carbon capture and storage on a large scale, shifting the world on to a different investment and growth path right now and commenting, “This is more technically possible than we used to think. But it is politically highly challenging”. The natural tendencies are either to do nothing, while insisting there is no problem, or to agree there is a problem, while merely pretending to act. It is not clear which form of obfuscation is worse. Wolf points out that to preserve our planet requires co-operative effort on a planetary scale – a challenge human beings have historically only met in times of war. Climate change involves huge distributional issues between countries that caused the problem and those that did not, and, not least, between people today, who make the decisions, and people tomorrow, who suffer the results. “It is five minutes to midnight on climate change. We will have to alter our trajectory very quickly but appear to be set on running an irreversible bet on our ability to manage the consequences of a far bigger rise even than 2C, risking a world of runaway — and unmanageable — climate chaos. “Our progeny will see this as a crime”. Secret State 22: Mega farms – Owners? Directors? Donations? Drone footage and satellite images have recently revealed that thousands of British cattle reared for supermarket beef are being kept at some sites in outdoor pens, known as corrals, sometimes surrounded by walls, fences or straw bales. Although the cattle will have spent time grazing in fields prior to fattening, some will be confined in pens for around a quarter of their lives, until they are slaughtered. Disease spreads easily in such conditions and traces of the medication needed to prevent or treat the animals will be present in the meat offered for human consumption. Who owns these companies? Who are the directors? Do they donate to party funds? Why are there no official records held by DEFRA on how many intensive beef units are in operation? Why is government not requiring an environmental permit before their construction – and indeed consulting those in their neighbourhood? Though environment secretary Michael Gove said, in a parliamentary statement. “I do not want to see, and we will not have, US-style farming in this country”, it’s here. The Guardian and Bureau last year revealed that 800 poultry and pig “mega farms” have appeared in the British countryside in recent years, some housing more than a million chickens or about 20,000 pigs. Following the revelations, the environment secretary, Michael Gove, pledged that Brexit would not be allowed to result in the spread of US-style agribusiness. 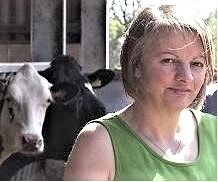 Readers who want to know the extent of this problem and the location of megafarms for dairy, pigs and poultry, may find this information by looking at the interactive maps produced by Compassion in World Farming: The snapshots show information about intensive pig rearing in Gloucestershire, where the writer lives. A Moseley reader draws attention to research by the Guardian and the Bureau of Investigative Journalism establishing that the UK is now home to a number of industrial-scale fattening units with herds of up to 3,000 cattle at a time. Sites in Kent, Northamptonshire, Suffolk, Norfolk, Lincolnshire, Nottinghamshire and Derbyshire were identified, the largest farms fattening up to 6,000 cattle a year. The practice of intensive beef farming in the UK has not previously been widely acknowledged – and these findings raise questions over the future of British farming. Lawrence Woodward draws attention to Thomas Lines’ article in Open Democracy. Originally policies were introduced to reduce price volatility and ensure that farmers had secure incomes, enabling citizens to have more reliable supplies of food. On May 8th the government ended its consultation period on a new agricultural policy for England. Revealingly, its policy document – called ‘Health and Harmony: The future for food, farming and the environment in a Green Brexit’– has more to say about the environment than either food or farming. In the eight chapters defining new policies in DEFRA’s paper, more than three times as much space is devoted to environmental issues (including animal health) as the economic ones which affect farmers’ and farmworkers’ own livelihoods. But now few politicians see agriculture as of much consequence since it accounts for only 0.7 % of UK gross domestic product and 466,000 jobs, or 1.5 % of UK employment in 2016 (of which 302,000 in England). The countryside seems to matter more for its visitor attractions. From agriculture itself, the average farm lost £700 per year. Even in nominal terms, total income from farming is less than half of what it was in 1995. Farmers’ median age is 59 and one-third are over 65, with only 3 % under 35. However, because of corporate concentration, especially in retailing, the share of those prices received ‘at the farm gate’ is substantially less than it was. The wider backlash against neoliberalism has not touched the sanctity of market mechanisms in agriculture, even though the markets that serve it fulfil their purpose of balancing supply and demand through the price system only fitfully. in Britain, the urgency of the situation is seen in a chronically weak balance of payments, part of which is a deficit in food trade. In 1984, before the CAP reforms began, the UK had risen to 78 % self-sufficiency in all food and 95 % in ‘indigenous’ foods, based on international prices. Ten years ago this had fallen back to 60 % and 74 % respectively and it has stabilised at around that level. However, when valued at ‘farmgate’ prices – those actually received by farmers – Britain in 2007 produced only half of the food it consumed. Marketing boards – despite their name – took distribution and pricing essentially out of market hands, with prices negotiated year by year between all sides of the business. They started with the Milk Marketing Board in 1933, when market concentration had enabled dairies to force down the prices they paid to farmers – just as in recent years. The MMB ensured the production, distribution and availability of good-quality milk and dairy products at stable prices for over 60 years. These measures were allied with practical, free technical advice to farmers from a government agency. The economic principles of those interventions were sound, even though they accompanied the shift to industrial farming methods. How can the higher farm prices and incomes needed for the sake of farmworkers as well as farmers be ensured? Natural England – sponsored by the Department for Environment, Food and Rural Affairs – is responsible for ensuring that England’s natural environment, including its land, freshwater and marine environments, geology and soils, are protected and improved. The Farmers Guardian reported that in 2016 Natural England’s payment record was rated even worse than that of the Rural Payments Agency (RPA) as it also failed to deliver the required Countryside Stewardship payments for work already done. Its performance did not improve in 2016; farmers were kept waiting for their first Countryside Stewardship payment. Though Natural England had pledged to make advance payments to 2016 mid-tier and higher-tier scheme holders between November 2016 and January 2017, with final payments due between January and June 2017, the NFU said exasperated members were calling the union demanding to know why their payments had not arrived. Farmers Weekly understood that ongoing delays in processing payments were because of problems with IT systems and processes at Defra. A spokeswoman for Natural England declined to comment on the number of 2016 scheme payments already made. FW added that farmers are yet to receive the first tranche of their 2017 payments for work done. Parliament’s Public Accounts Committee was scathing in its criticism of the RPA’s failure to distribute basic farm subsidies whilst requiring prompt applications from farmers (below left). The extent of the Rural Payments Agency’s failure to pay farmers in England on time and in full is now clear. The RPA paid only 38% of farmers under the Basic Payment Scheme on 1 December 2015—first day of the payment window—compared with over 90% in previous years. By the end of January this had risen to 76%, but at the end of March 2016 there were still 14,300 farmers (16%) who had not received any payment. Government agencies should honour their own injunction: don’t leave it too late. Over 10,000 farmers who had received a payment had not been paid in full. Two thirds of the additional payments made to these farmers were in excess of €1,000 and were first paid in September 2016, over 9 months after the first payment should have been received. Farmers Weekly reported in February this year that the RPA boss was ‘blasted’ over farm payment delays and mapping. At a NFU council meeting on 30th January at Stoneleigh Park, Warwickshire, farmers took RPA’s chief executive Paul Caldwell to task over BPS payment delays. More than one in 10 farmers are still waiting, according to an NFU survey (see “Survey uncovers extent of delays” right) – although the RPA’s own statistics suggests that figure is nearer to one in five. NFU vice-president Guy Smith said: “When you look at current payment performance and the levels of outstanding issues from previous years you could describe the RPA as ‘just about managing’. 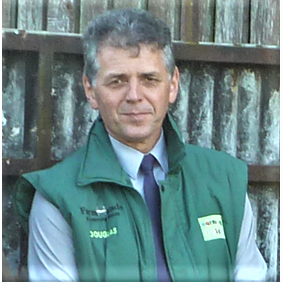 In March 2017, having received what Miles King described as a ‘verbal beating’ (Countryside Stewardship in front of the EFRA committee) Guy Thompson, Chief Operating Officer, left Natural England and now works for Wessex Water. Natural England announced in the autumn that it would increase first tranche payments, traditionally paid in the autumn, from 50% to 75%, with the remaining 25% following later, reflecting payment reductions or penalties. According to farm leaders, many claimants are still waiting for that first payment, with some now being forced to take out bank loans because of their resulting cashflow difficulties. Max Sealy, NFU county delegate for Wiltshire and a consultant with the Farm Consultancy Group, said some farms were waiting for substantial sums of money for work which they had already completed. “What we need is clarity on the situation and better communication,” he said. But a Natural England spokesperson declined to clarify how many payments were still outstanding and when farmers could expect to see them. Farmers who have signed up to Countryside Stewardship, or still have an old Higher-Level or Entry-Level Stewardship agreement, have yet to receive the first tranche of their 2017 payments. Farmers Weekly reports that farmers want to know when they can expect to receive their agri-environment scheme payments, with ongoing delays leading to budgeting problems and growing resentment about the way the schemes are being managed. The Farmers Guardian then reported that Defra is to transfer delivery of the Countryside (agri-environment) Stewardship scheme from Natural England to the Rural Payments Agency (RPA) – more confusion? “The Countryside Stewardship scheme has been plagued by poor delivery from its launch in 2015 and the NFU has been raising these concerns from day one. It seems almost every day we have complaints from members about the muddled application process, wrong maps, moving goalposts, late start dates and delayed payments. All this has undermined farmer confidence in the schemes leading to very poor uptake. Plans to improve delivery have to be welcomed but until we see improved delivery we will withhold judgement. “I know many farmers will not be reassured that delivery is moving from NE to the RPA, which is notorious among farmers as the organisation which comprehensively screwed up the payment of the as then new Basic Payment Scheme back in 2014. A highly complex new IT system was commissioned to enable farm payments to be moved online. 7 years later the system is still not working properly. Conservationist Miles King went further, calling for the abolition of the Rural Payments Agency before the introduction of the government’s England Agriculture Policy which is expected to be published this spring: “We need a publicly-funded independent champion for nature (as Natural England was intended to be when it was set up) and a new body which will deliver the public goods for public money”.